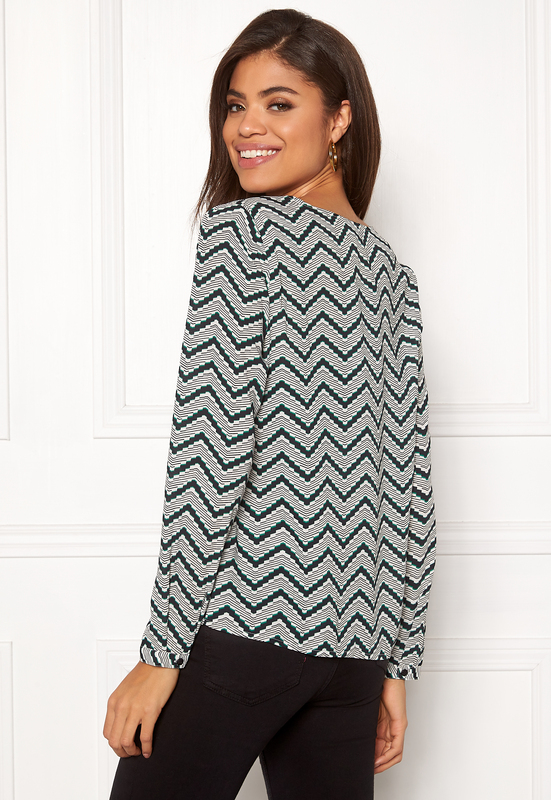 Gorgeous blouse with a pretty pattern from VERO MODA. 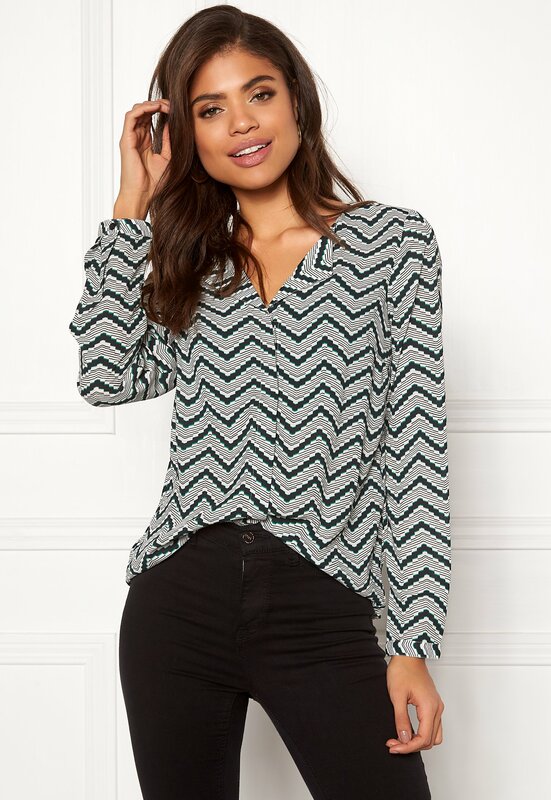 The blouse falls beautifully, and is perfect for both everyday and party wear. - Nonstretch, woven quality - V-neck - Concealed closure - Buttoned cuffs Back length from shoulder 64 cm, bust 96 cm, sleeve length from shoulder seam 62 cm, in size S. The model is 176 cm tall and wears a size S. Machine wash at 30 degrees.